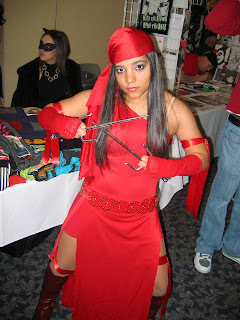 Over the weekend I went to the Dallas Comic Con in Richardson, which is north of Dallas. 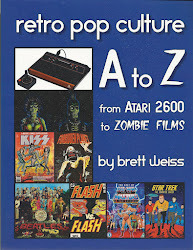 I had a great time trading for cool stuff, catching up with friends and comics pros, and seeing all the costumes, comic books, and other ephemera on display. 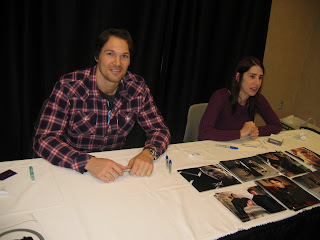 Also, the stars were out in abundance, and there I was with camera in hand. 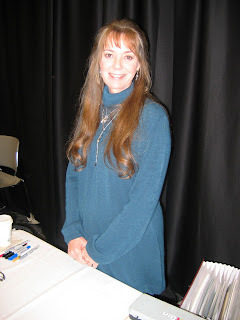 Anne Lockhart, who played Sheba on the original Battlestar Galactica. 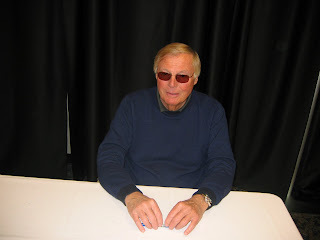 It was a kick talking to Adam West, who remembered doing an autographing at my comic book store back in 1993. 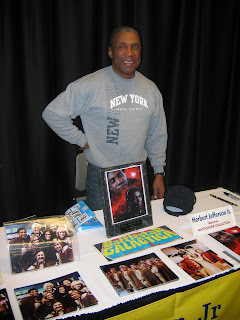 Herb Jefferson Jr., who played Boomer on the original Battlestar Galactica. It was nice meeting Charisma Carpenter, a.k.a. Cordelia Chase on Angel and Buffy the Vampire Slayer. 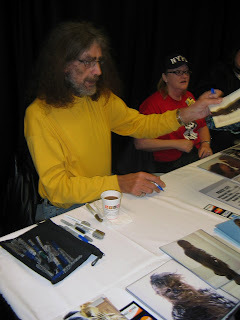 That's Chewbacca on the left (actor Peter Mayhew). 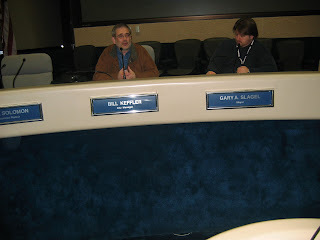 Bob Wayne (on the left), DC Comics' VP of Sales, was on hand to talk about forthcoming comics. 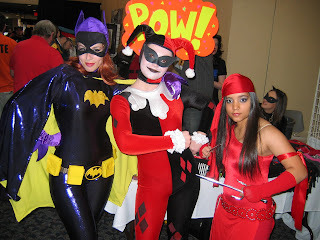 Fans dressed as DC's Batgirl and Harley Quinn and Marvel's Elektra. 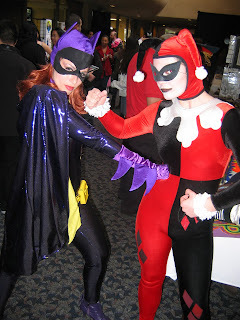 Batgirl and Harley duke it out. 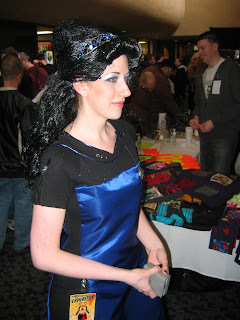 Fan dressed as Deanna Troi from Star Trek the Next Generation. 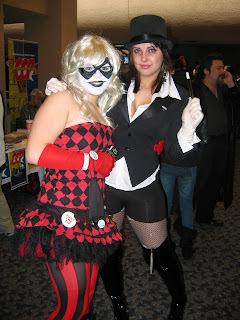 Harley Quinn and Zatanna apparently getting along.